This post was sponsored by Entenmann’s® Little Bites®. However, all content and opinions are entirely my own. Please see my disclosure policy. Have a special niece or nephew who lives far away? Or maybe you’re a grandma who doesn’t get to see those sweet grandkids as often as you’d like? Sure, their moms and dads try their best to keep you connected through phone calls and technology. But it’s still hard to miss those special moments and Birthday parties. 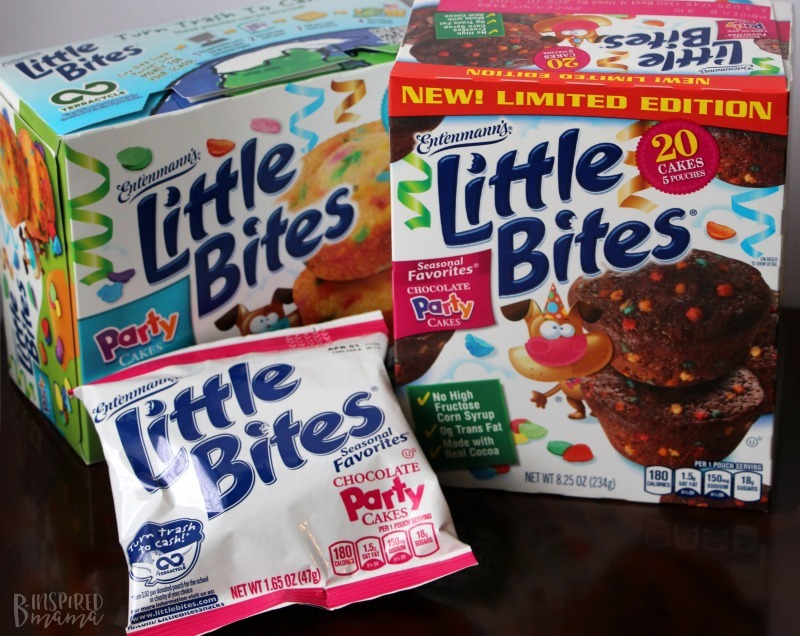 Here’s a simple idea to let that special child know you’re thinking about them on their Birthday – inspired by B-Inspired Mama sponsor, Entenmann’s® Little Bites® and their newest fun flavor: Chocolate Party Cakes. 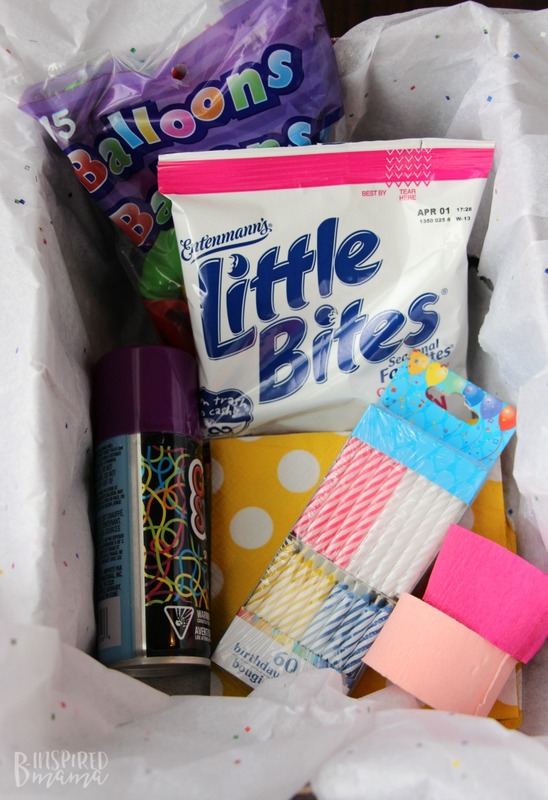 Send them an entire Birthday in a Box! Place your tissue paper in your box with the long ends wrapped over the sides of the box so you can fold them over the contents after the box is filled. 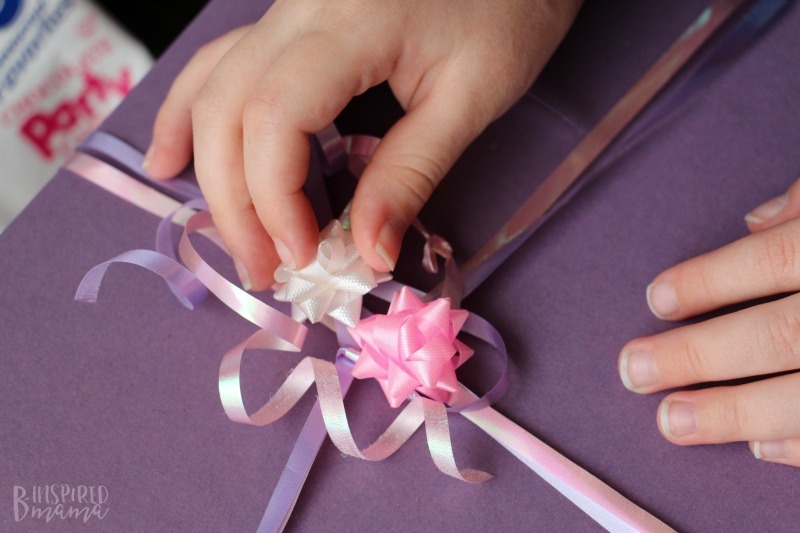 Carefully arrange all of the Birthday party supplies in the box so that everything is secure for shipping and pretty when the box is opened. Make sure to put a package of Entenmann’s® Little Bites® Chocolate Party Cakes right on top. This new Entenmann’s® Little Bites® limited edition is loaded with rainbow sprinkles, similar to the oh-so-popular original golden Entenmann’s® Little Bites® Party Cakes, yet in an awesome chocolatey flavor. And it just isn’t a party without chocolate cake, is it?! Fold over the tissue paper and secure the box lid. Decorate the box however you like. Since we used a pretty box, we simply tied some ribbon around the box and added some mini bows. A special note or card can be tucked under the ribbon for a final touch. Skip the ribbon and bows if you want to ship this box as is. Just make sure to secure the lid with shipping tape. 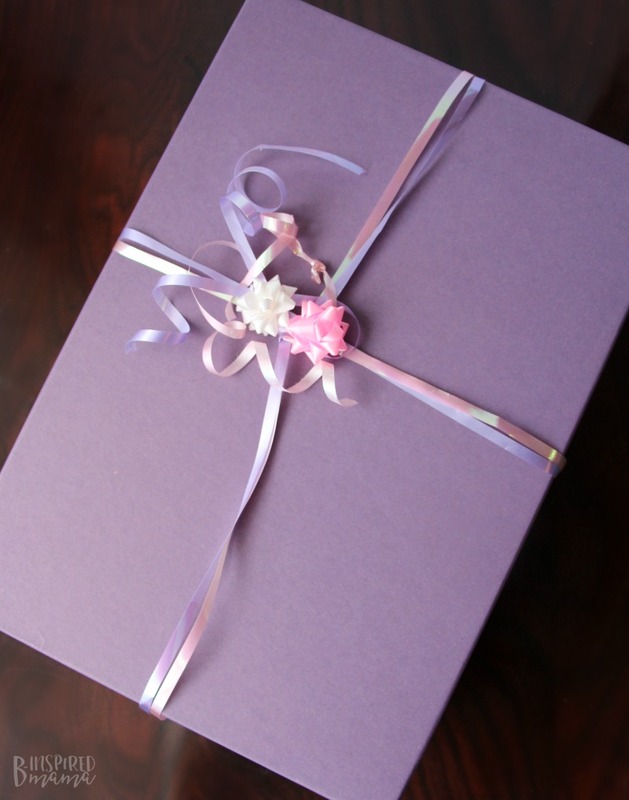 Or, add this box to a larger shipping box if you’d rather leave the ribbons and bow. 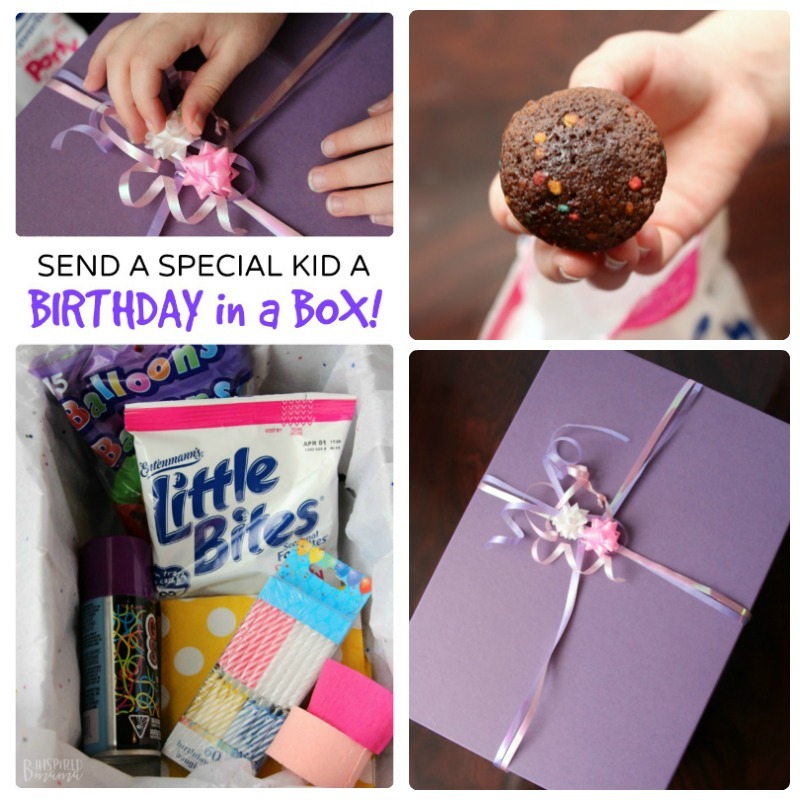 Give the special kiddo’s parent a heads up, so they can set up a video call when the child receives and opens her Birthday in a Box. Or so they can at least take some video or pictures for you to see the surprise and excitement on her face. 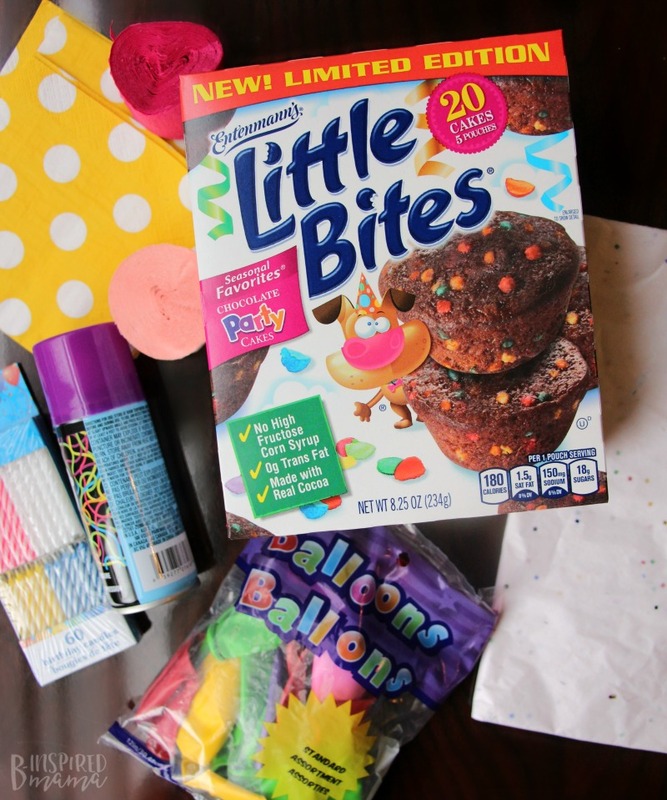 She’s sure to have fun with her little impromptu Birthday party – right then and there! 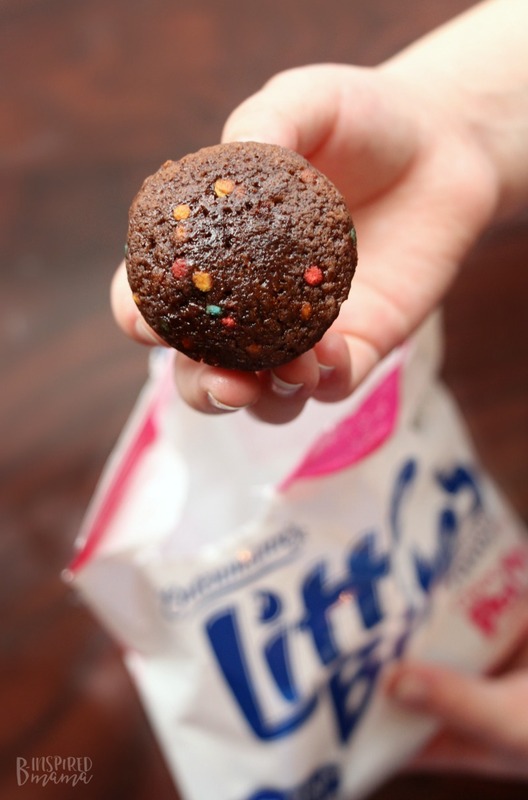 Psst… Make sure to get some Entenmann’s® Little Bites® Chocolate Party Cakes soon! Since they’re a special seasonal edition, they’re only available until August 26, 2017. Follow Entenmann’s® Little Bites® on Facebook, Instagram, and Pinterest for more fun and yummy ideas, too!